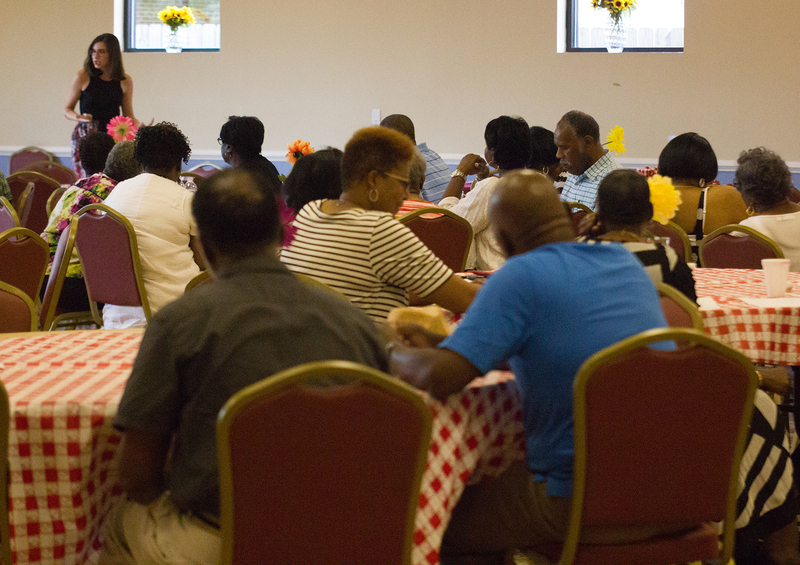 New Zion Missionary Baptist Church, in cooperation with UA’s Saving Lives Academy, is holding workshops designed to inform the congregation about good health and wellness practices. In June the church launched “Senior Moments: Life Management Ministry” to provide tools for members aged 50 and over to become healthier in mind, body and spirit. The new ministry is a result of the church’s participation in the Center for Community-Based Partnerships’ Saving Lives program. Saving Lives is piloting a Saving Lives Academy, which conducts workshops to show church members how to foster healthy living activities. 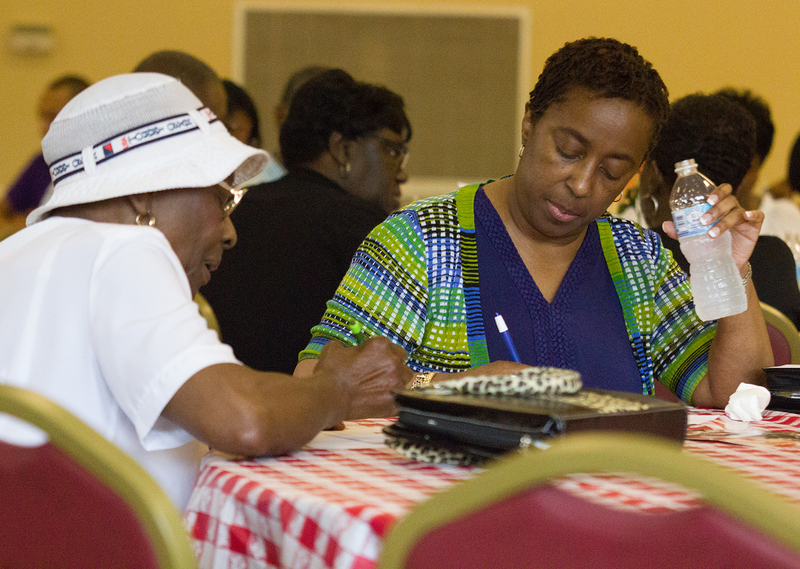 More than 30 people participated in the first of what is scheduled to become monthly workshops. The program included presentations from two health professionals. She discussed how people are living longer and finding more satisfaction with age because of improved health, increased financial stability and reduced stress. 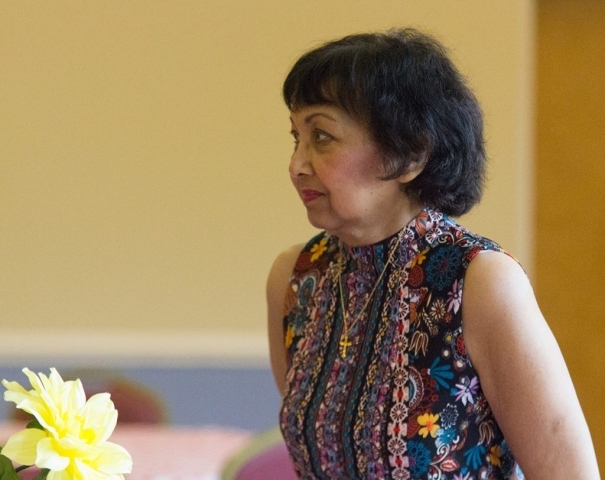 Dr. Beth Tobing-Ruiz, a nephrologist specializing in kidney function and diseases such as kidney-related hypertension, was invited by New Zion to discuss holistic medical care and answered questions from the audience. “My interest is in the empowerment of patients, the education of the patient, and providing information to the patient,” Tobing-Ruiz said. She advised participants to ask their doctors questions and not be afraid to see a specialist or to get a second opinion. Rev. Greg Morris, New Zion Missionary Baptist Church’s pastor, said he believes the meeting was a good start to what will become an enriching experience for his parishioners. “This church has had a pretty long-standing relationship with the Saving Lives Program and I wanted us to continue that,” said Morris, pastor at New Zion for the past five years. Bobbie J. McKinney called the health session a “prefect addition” to the noon Bible Study. Mt. Zion’s next meeting in the “Senior Moments: Life Management Ministry” is scheduled for July 25 at 12:30 p.m. Saving Lives is under the direction of Dr. Nicole Prewitt, director of programs and partnerships for community engagement at the Center for Community-Based Partnerships, an initiative of UA’s Division of Community Affairs.